Dunham, Norfolk. Located between Swaffham and Dereham. 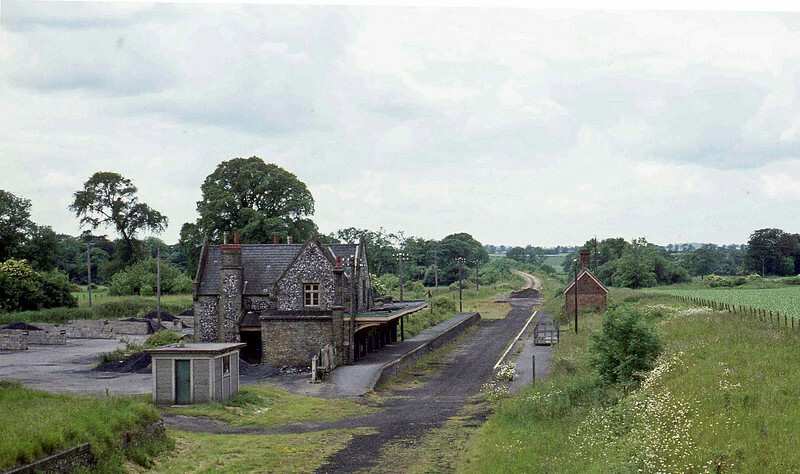 Station closed to passenger traffic on 9th September 1968 and to goods on 30th June 1966. A fine view of the station facing west towards Swaffham from the adjacent road bridge carrying a minor road (Station Road) over the line. Bridge still extant today. The station was actually in the village of Little Dunham at NGR TF 868 133. Image John Clark c1970.